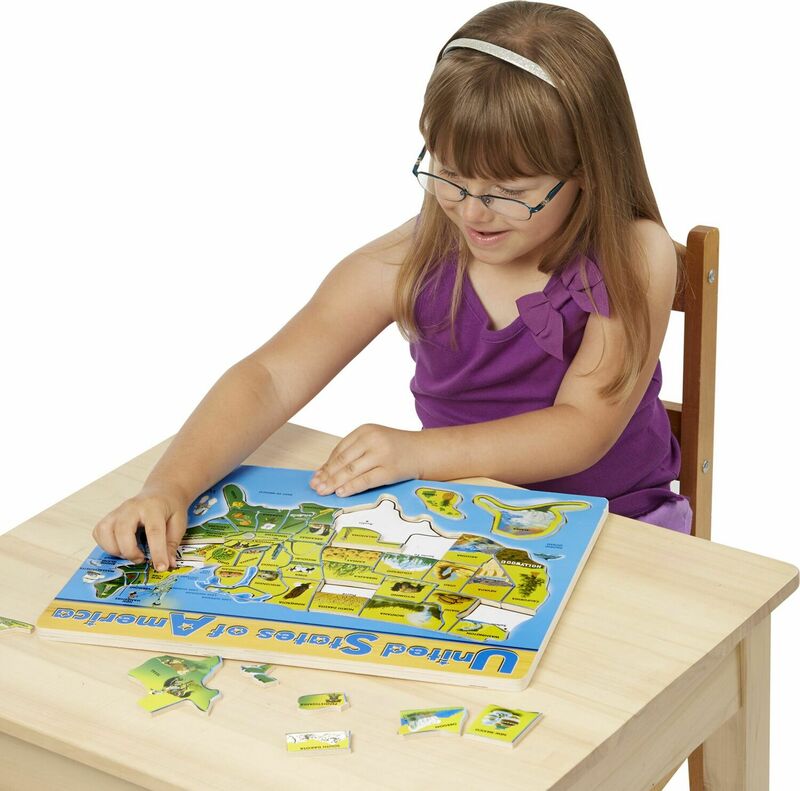 It's fun to learn the geography of the U.S. with this 45 piece, wooden puzzle. 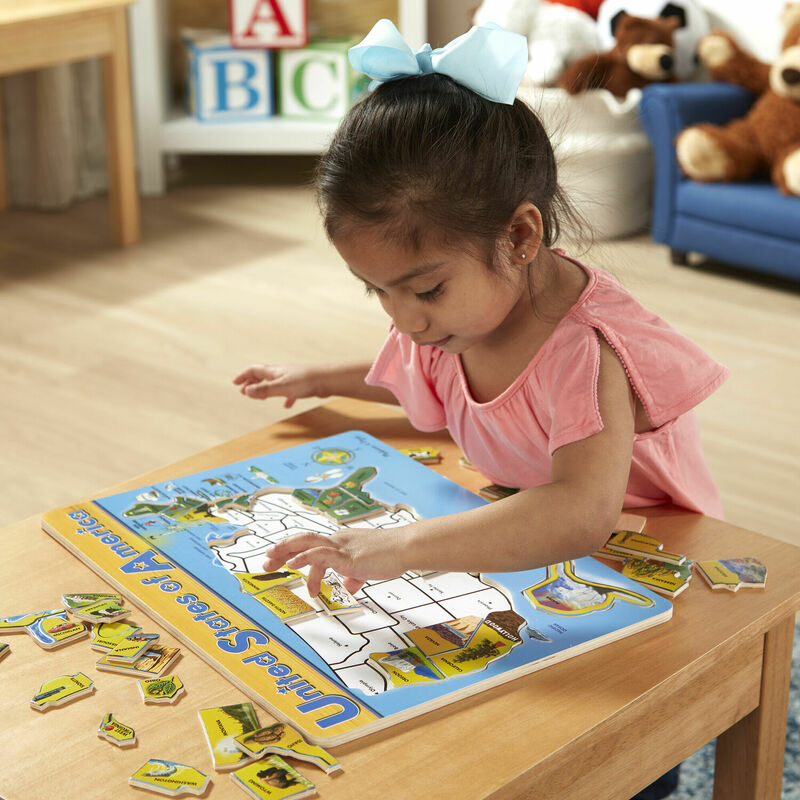 With colorful images associated with each state, plus the capital name and state outline under each piece, this puzzle is a bonanza of facts! The back of the puzzle lists additional state facts, including state flag, bird, motto, population and more! Measures approximately: 15.50 x 11.70 x 0.35 inches..